First floor patio entry. Second floor balcony with pool view. 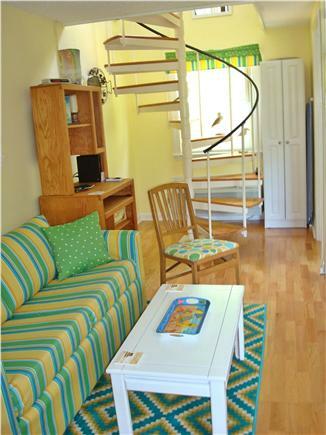 Spiral staircase takes you to second floor. Kitchen has 2 burner stove, microwave, coffee maker, TV etc. All prices include newly imposed lodging tax. When you enter this tidy, 2 floor, 2 room, 2 bath condo via your private patio with a table and 2 chairs, you are greeted by a cozy living space with a full size sleep sofa. The kitchenette is fully stocked with dishes, etc. 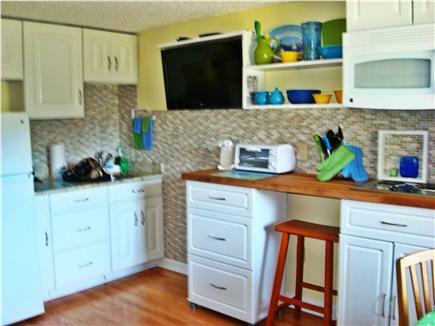 for 4, granite counter top, refrigerator, microwave, coffee maker, toaster oven and a 2-burner stove. The dining area seats 4. There is a 32 inch flat screen TV and internet access. And beyond the kitchen area is a 3 piece bathroom with shower. Beyond your assigned parking space, you can see Bass River across the street. There is a beautiful park where you can rent a boat and feel the beauty of Cape Cod beneath ...your oars as you paddle down the scenic river. Sundancers waterfront Restaurant is next door with entertainment all summer and weekend nights, off season... www.sundancerscapecod.com/. There are dozens of restaurants and attractions, The South Yarmouth Library, The Center For the Arts, antique shops, mini golf etc. within 1 mile of your stay. Please, no pets. No smoking. Additional availability info: This rental closes the Monday before Thanksgiving and opens the second week in April. This is a Saturday to Saturday vacation rental. Additional pricing info: Cleaning and linens are included in the price, State and local taxes of 12.45% will apply. My husband and I stayed at Sheila’s townhouse for most of the summer because we were building a house in the neighborhood. 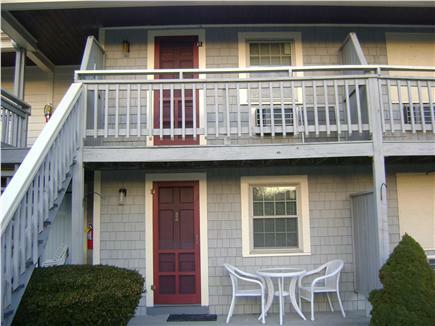 The townhouse is conveniently located on Route 28 in West Dennis. Since the unit is in the back of the complex overlooking the pool, it was very quiet and peaceful with no traffic noise whatsoever. You would never know that Route 28 was so close! Everyone at the complex was very friendly and added to our comfortable and relaxing experience. 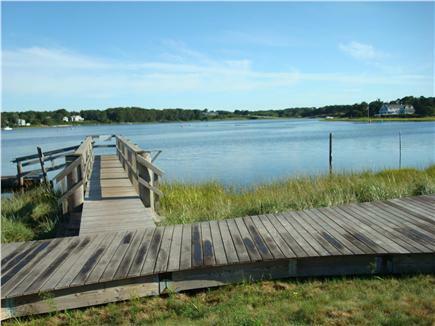 We also enjoyed our walks to the Bass River and West Dennis Beach. The townhouse was nicely decorated and very clean. It was well stocked with everything that you could possibly need for your stay including kitchen items, paper products, cleaning supplies, emergency supplies, extra linens, beach towels, etc. Sheila put a great deal of thought into the layout and furnishings as space was maximized. We had plenty of room with the large bedroom upstairs and the two full bathrooms. The upstairs deck was an added bonus. Sheila was pleasant and very responsive to any questions that we had. She came faithfully every week with her cleaning staff to do our weekly cleaning and linen change. She really cares about providing her guests with a pleasant experience and value for their money. We enjoyed our stay and were very sad to leave in September! 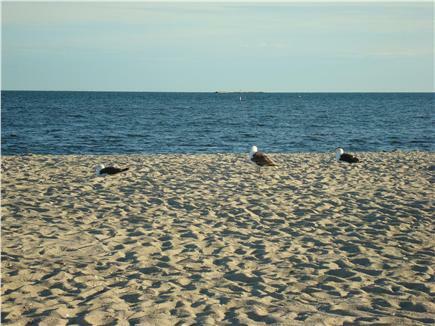 Thank you, Jennifer and Joe, for taking such good care of my little Cape Cod get away while you were there. I'm glad that you were able to enjoy the beaches and the pool while in the midst of your building project. It was my great pleasure getting to know you and having you stay for the summer. My husband and I have been coming to the Cape for many years. This is our first time staying in a condo. We loved it! Peaceful- comfortable- relaxing. Love the decor! Thank you for your kind words. I am so glad you and Bob had a nice time. You left everything in great shape. It would be a pleasure to have you back any time you wish. My girlfriend and I were pleasantly surprised about how nice the place looked. 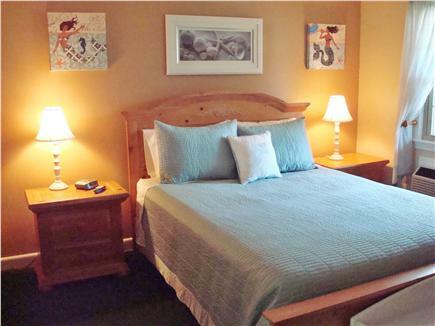 Two bathrooms, one big bedroom upstairs, two HD TV's, internet cable, a/c on each level. The pool is really a plus....and we had access to a balcony on the second floor which overlooked the quiet inner courtyard. Central location for escapades on the Cape....Really we were happy campers. The owner is very sympathetic and accommodating. Go for it 100%. It was a pleasure to meet you both. I hope you return to the Cape soon. There will be a cozy place waiting for you. This condo is immaculate. It looks even better than in the pictures. The unit is in a building that sits behind the main building forming an L shape, so even though you're right on Route 28 with easy access to beaches, shops, restaurants, and all the activities, you would never know it. Thank you, Larry, for your kind words. It was a pleasure to host your visit. I hope you return for future vacations. A cozy place for a couple to spend time at the Cape! 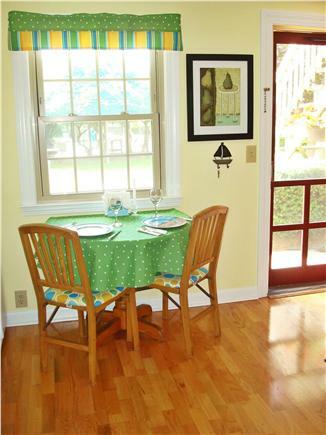 Located within walking distance (20 minute walk) to West Dennis beach, kayaking next door and great restaurants near by. 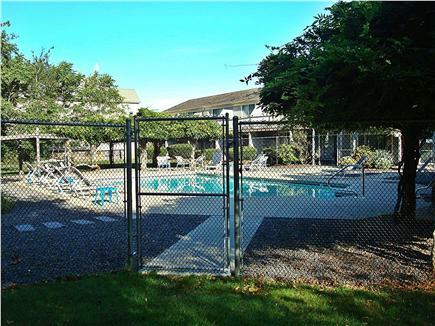 This unit is very clean and comfortable; the grounds are well-kept, with a patio to have your morning coffee. With two flat screen TV's to watch the Red Sox from, this fan couldn't have been happier! The owner is terrific, always eager to make her special place, special for those that stay here. 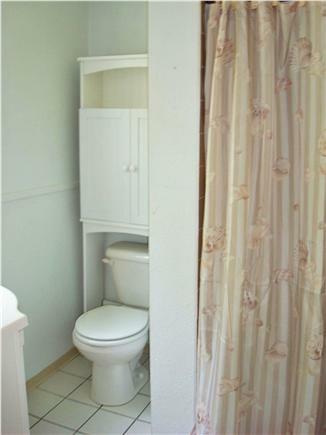 A delightful, inviting, immaculate, well equipped accommodation in a very convenient location. 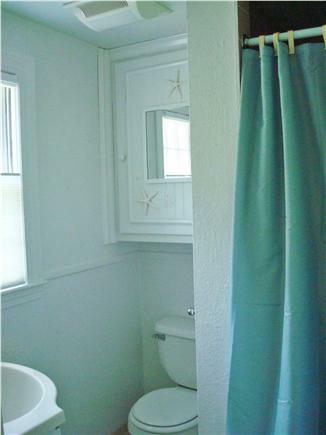 Close to the beach, shopping and sightseeing. The décor is bright, cheerful, very tasteful. A wonderful visit!! !